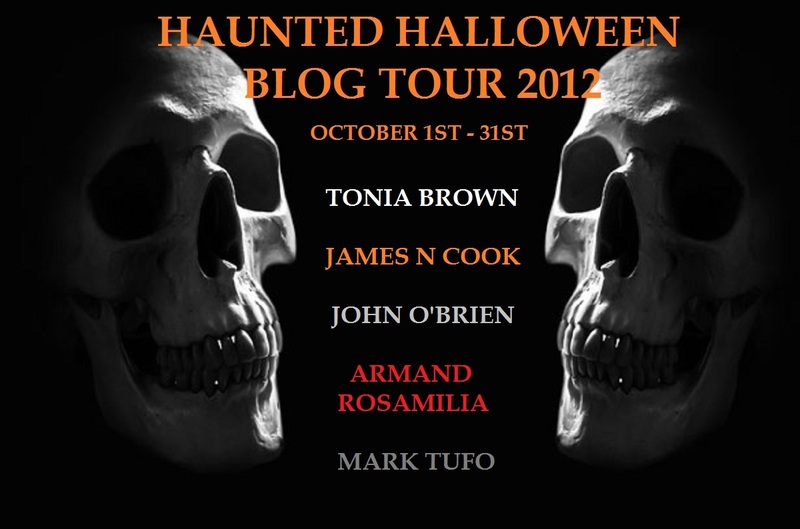 Today I’m honored to host the Halloween Haunted Blog Tour 2012. I’m pleased to host a guest post by Mark Tufo. 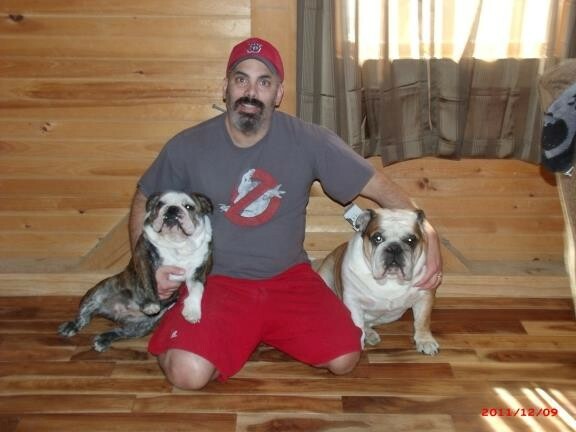 Mark is author of numerous books including the Zombie Fallout series. Enjoy! 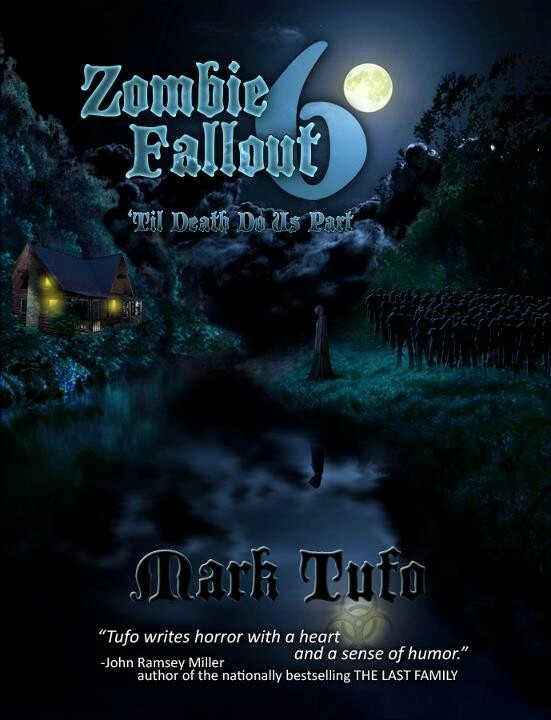 Hello everyone my name is Mark Tufo and I am the author of the Zombie Fallout series. I get asked this question a fair amount of times and I figured I’d answer it on this blog. If you were stuck on a desert island and could bring only one type of food? Ooops sorry wrong question. Umm there it is, How did you get started writing and do you have a routine? Okay so basically it’s two questions. Well I’ve always loved writing, when my classmates would groan at a writing assignment I looked forward to it. It wasn’t until college that I started my first full length novel (which I wouldn’t complete for another twenty years – not very prolific). I wrote my first Zombie Fallout book on a dare from my wife and never looked back from that point on, it was awesome to kind of let my inner crazy spill on to the paper (computer hard drive) I had never known that I had so much ‘nuts’ pent up in that noggen of mine. I think my wife had a clue and that was why she ‘dared’ me to write a story maybe so that I could release some of that pent up energy. The second part of the question was if I have a routine, I do try to schedule enough time to write every day seven days a week, I find that I get very irritable if I don’t. I guess much like a dairy cow who doesn’t get ‘milked’ – weird analogy but I guess it’s fitting. I do leave enough wiggle room on my time table for ‘sanity’ days, time to either recharge the batteries or figure out a way to get out of the corner I wrote myself into. Sometimes I will write a scene, without not having fully figured out how a character is going to get out of the particular scenario and I never want to take the easy way out i.e. Joe was saved from the werewolf when a giant meteorite hurtled through time and space to crash into the beast’s head, killing him instantly! It was friggen awesome! – I never want to be that author, I’ve read more author’s that have done this than I care to remember. There was this series where the kids had these powers and for every situation they got into they would ‘discover’ that they had a power to get out of it, that got old real fast. Sorry I think I digressed there, if you read my books you’ll realize I do that a lot. Okay last part, much to my family’s chagrin, when I write I HAVE to listen to music at ear drum splitting levels, I’ve thought about the WHY of this and I think it has to do with concentration and focus, with the music that loud I am forced to keep all of my attention on what is directly in front of me, it is also the ability to pull energy from the music. Hey I write horror you already have to figure I’m a few words short of a story! Thank you for allowing me to spend some time on your blog. Please feel free to visit me at marktufo.com or on facebook, I always look forward to talking to readers. All five of us – Tonia Brown, James N Cook, John O’ Brien, Armand Rosamilia and Mark Tufo – hope you have been following along on the Haunted Halloween Blog Tour 2012. We love to see comments after the posts, and we also love to pick a random commenter and give away a free eBook or even a signed print book, so maybe you’ll get lucky! We have centralized all the upcoming dates and blog posts on a Facebook event page. Feel free to join us there and see what is coming up next!